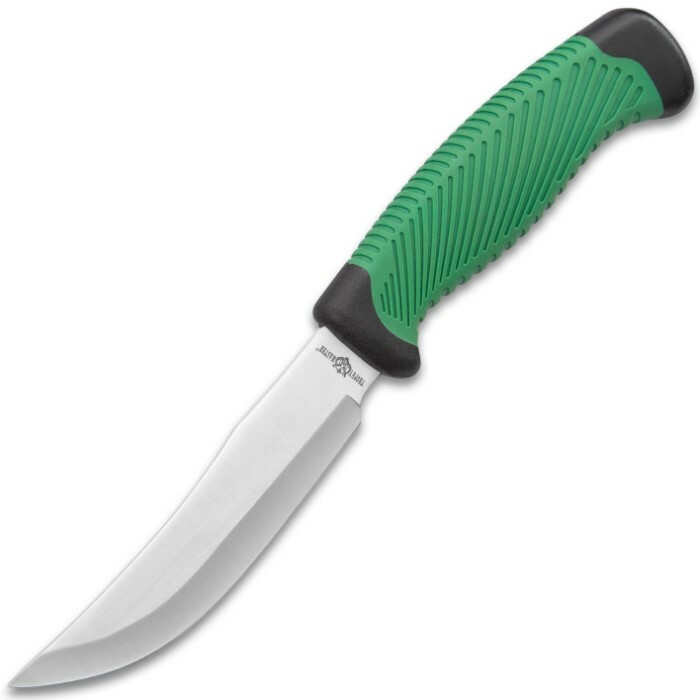 Our Trophy Master Wahoo Killer Two-Piece Fixed Blade Knife Set is the perfect addition to your hunting gear, camping gear or even your bug-out bag. 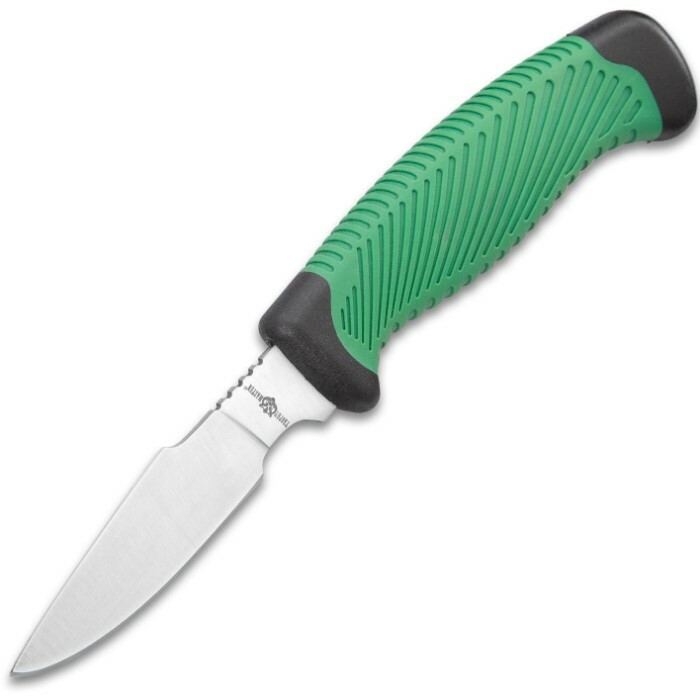 The set includes a caping knife and a skinner knife with thick, razor-sharp stainless steel blades that can be used for tasks like cleaning wild game, building shelters, splitting firewood and even everyday tasks. 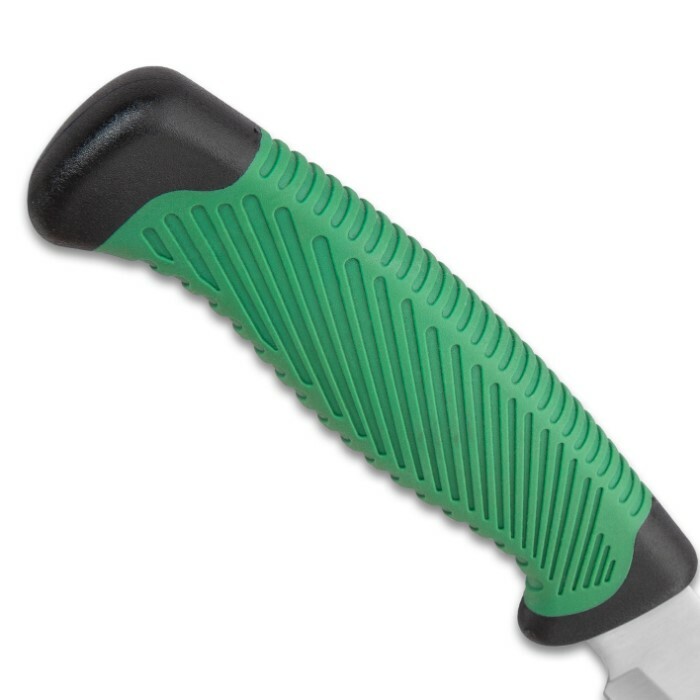 The handles are of ABS with an overlaid green rubber grip, with a checkered pattern, allowing for a firm grip, even in wet situations. 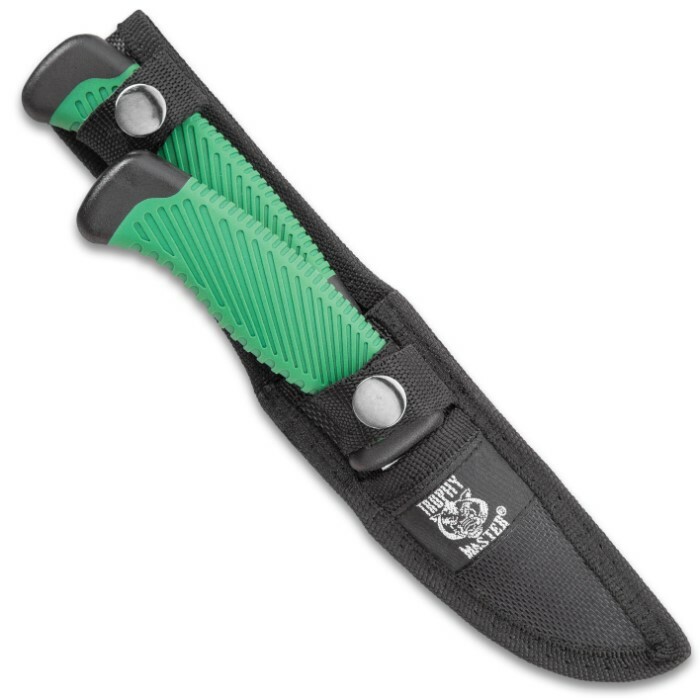 Both of the fixed blade knives fit in a tough nylon belt sheath with strap snap closures to carry them and secure them when not in use. 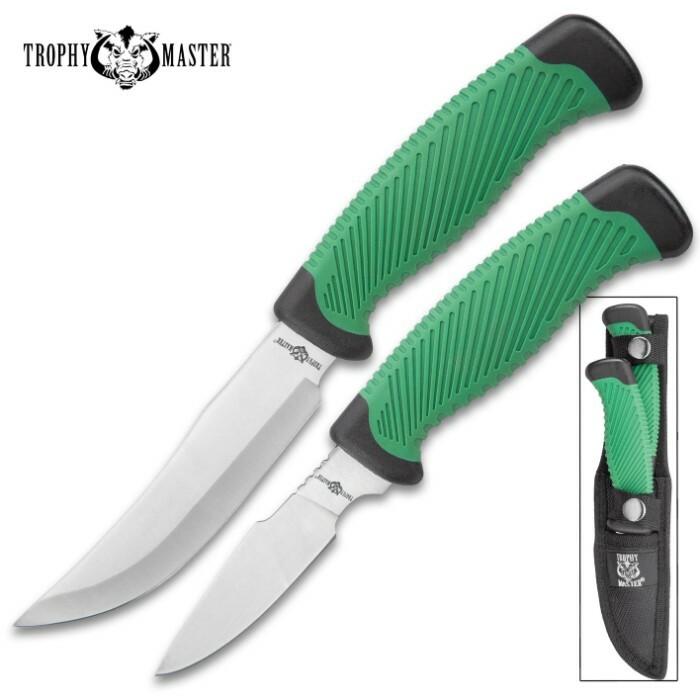 Don’t miss out on your chance to get this set of two great knives at one low price!